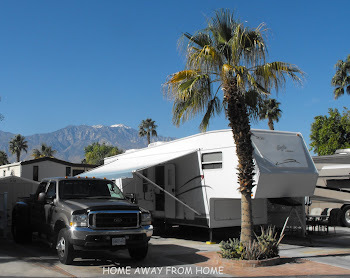 RV travelling offers so many benefits to “heading back home” after a winter down south. One of those benefits is spending time in some of these little towns along the way and enjoying what they have to offer. Depoe Bay, Oregon is a little gem with sights to see and enjoy. We stayed at the Sea and Sand RV Park that has several levels that offer views of the ocean so we spent some leisurely time watching the waves. These early morning waves could be seen from our RV window. This trail, only a few feet from our RV leads us down to where we enjoyed a walk along the beach, which seems to go on for miles. This was early April so not a summer swimming day but with a light jacket for the wind, it was great. Depoe Bay is known as the “whale watching capital” of Oregon. We were here when the pods were returning north after their winter down south; we did see one whale ‘spyhopping’ not far off the beach as we sat enjoying the view. 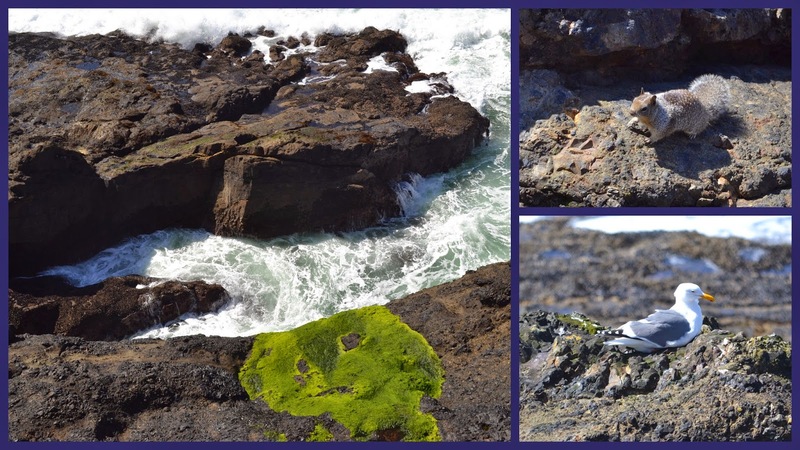 There is a sea wall along the length of downtown Depoe Bay that borders a very rocky shoreline and a great home to lots of birds and critters. Like critters in all places that are visited by people, they were looking for treats coming their way. The Depoe Bay Whale Watching Center is adjacent to the entrance of Depoe Bay and offers lots of information on the whales. 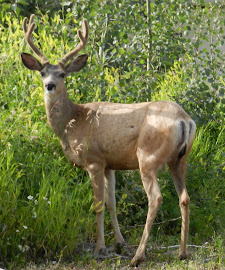 The staff is also part of the Visitor Center and are very helpful in spotting the whales as they make their way past. Of the thousands of whales that pass by each year, there are about 2500 sightings, cheers are heard, and we saw one of those while we were there, too. The tour boat in the other photo was heading into the small opening under the bridge to enter the natural harbour of Depoe Bay, known as the “world’s smallest harbour” and home to this marina. 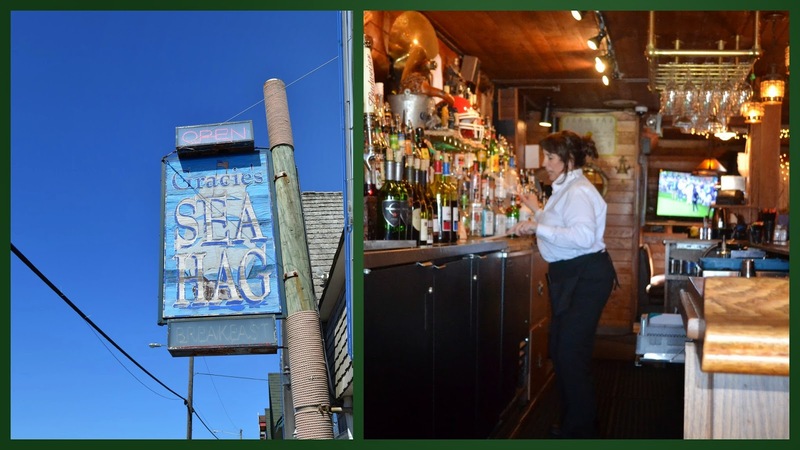 Gracie’s Sea Hag restaurant was on the main street in Depoe Bay and offers a great menu and even some special entertainment at times. The polka music came on and the bartender began drumming the bottles with as much enthusiasm and talent to make this great fun to see and hear! After a great day of exploring the sights of Depoe Bay we were able to come back to our RV spot and sit outside with friends, share stories about the day and enjoy the setting sun. We woke up to another beautiful sunny day, perfect for a drive and we are once again on our way to see some more new sights and one day closer to home. It may be a bit difficult to leave this beautiful view but after spending the winter down south, it is always great to be on home ground again and we are looking forward to that time soon.